The Trump administration this week proposed eliminating a decade-old regulation that puts hospitals at risk of losing their Medicare funding if too many of their patients die or suffer organ failure after receiving transplants. 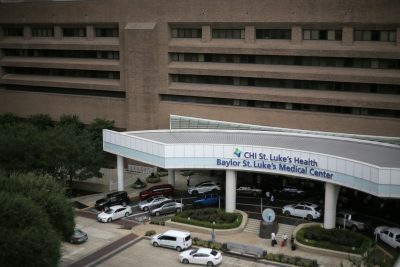 The rule the government is proposing to scrap is the same one that led the Centers for Medicare and Medicaid Services to cut off funding last month for heart transplants at Baylor St. Luke’s Medical Center in Houston after an investigation by ProPublica and the Houston Chronicle revealed an outsized number of patient deaths and complications in recent years. “We are proposing to remove those inefficiencies to reduce the amount of time patients have to wait, so that they can begin healing,” Verma said. The proposal, now subject to public comment and revision before it is finalized, surprised many transplant physicians who have long called for relaxed federal oversight. 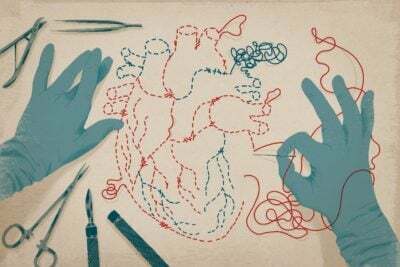 They’ve argued that the rules requiring that hospitals meet certain survival thresholds for transplants discourage them from taking on risky patients or accepting less-than-perfect organs, lengthening the time patients spend on the waiting list. Some experts, however, said the proposal would not help patients because it would weaken the government’s authority to hold transplant programs accountable if they fail to provide safe patient care. The regulation was put in place in 2007 after a series of scandals at transplant programs revealed lax federal oversight. Several transplant programs had compiled abysmal patient survival statistics for years while continuing to receive Medicare funding. Even though it has the authority to do so, Medicare rarely terminates programs for poor outcomes. It is far more common for the government to force underperforming programs into systems improvement agreements, in which hospitals agree to make certain changes and be subject to stepped-up oversight. Medicare bypassed that process and cut off funding for heart transplants at St. Luke’s in August after the hospital’s one-year patient survival rate fell below national norms from 2014 to mid-2016. A few St. Luke’s cardiologists grew so concerned that they started sending some of their patients to other hospitals for transplants. St. Luke’s has appealed its Medicare termination, saying, “we do not believe CMS’ recent decisions reflect our ongoing progress and accomplishments to improve the quality of our care.” A spokeswoman said officials are still reviewing the Medicare proposal and declined to comment. In a statement to reporters Friday, CMS said it would continue monitoring transplant programs and is strengthening its process for inspecting transplant programs to ensure they are providing safe, quality care. If the proposed regulatory change had been in place previously, it’s not clear whether St. Luke’s would have faced punitive action from Medicare. 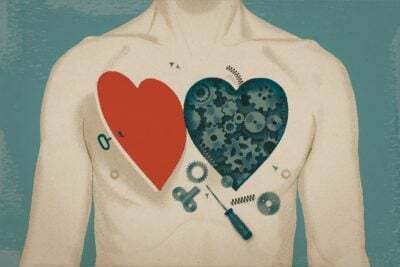 Since the rules were put in place 11 years ago, the percentage of patients who survive at least one year after receiving heart, kidney, lung and other organ transplants has increased nationally. But some experts say those gains have come at a cost. Jesse Schold, a researcher at the Cleveland Clinic, has spent years chronicling what he calls the “unintended consequences” of holding transplant programs accountable for poor outcomes. Even though CMS relies on data that has been adjusted to ensure that programs aren’t punished for treating sicker patients or accepting riskier donor organs, Schold said the rules have created a perception that programs need to turn away some ailing patients and reject less-than-ideal organs in order to meet outcome targets. As a result, Schold said, some potentially viable donor organs are discarded while thousands of patients die on waiting lists each year. Schold said he was surprised to learn a study he co-authored was among the research cited by CMS as justification for the policy change, which he said would be a “significant net positive” for patients. Dr. Joel Adler, a liver surgeon at the University of Wisconsin School of Medicine and Public Health whose research also was cited by CMS, said a major weakness of the current regulation is that it focuses only on the survival of patients fortunate enough to have received a transplant. Medicare, he said, does not take into account the percentage of patients who die awaiting a transplant. That can discourage programs from accepting organs for patients who might be less likely to survive afterward. Despite identifying problems with the current rules, Adler and his co-author did not propose eliminating Medicare’s standards, but they instead suggested ways to improve outcome measures and create incentives for programs to perform more, not fewer, transplants. Medicare isn’t the only organization that oversees transplant centers. The United Network for Organ Sharing, a federal contractor that operates the national waiting list for organs, can put programs on probation or even revoke their good standing for continued poor results, though it rarely takes such actions. Similarly, another federal contractor, the Scientific Registry of Transplant Recipients, analyzes transplant outcomes and publicly reports which centers have mortality rates that are higher than expected based on the characteristics of their patients. Even if the proposal is approved, it would not mean CMS would stop regulating transplant programs. Last year, for example, CMS cut off funding to Medical University Hospital in Charleston, South Carolina, after the program failed to perform the minimum number of heart transplants required by CMS to maintain certification. That provision, also added during the reforms of 2007, would not be affected by the changes proposed this week. The Charleston hospital, the only heart transplant program in South Carolina, made necessary changes and regained Medicare certification this year. Aguiar, the Arizona-based consultant, shares those concerns. Even without strict CMS oversight, she said, many transplant programs will continue providing high-quality care, but some won’t.